Evaluating Isco: What does he bring to Juventus? Feet no different from that of a flamenco dancer, he is the living embodiment of the Spanish tika-taka style. His swanning runs from the heart of midfield have the Santiago Bernabéu on its feet at his every command. But is Isco’s future away from the Spanish capital? The question may seem rather futile considering the 26 year old has won a La Liga title, the Golden Boy award and let’s not forget four Champions Leagues. But this season has been a struggle for Spaniard with a lack of game time and below average performances. Personally, nothing would please me more than to see him grit it out in the unforgiving Premier League, miles away from the abundance of world-class talent he has had the luxury of playing with at Real Madrid. But after falling out of favour with Solari and with the recent signing of Brahim Diaz, Italian Champions Juventus have begun to show an interest in the Spanish magician. After already capturing Welshman Aaron Ramsey, Isco would be a true signal of intent from I Bianconeri. Champions League. All or nothing. Isco’s plethora of attacking abilities, in my opinion, were restrained in a Zidane-led, Ronaldo-heavy Real Madrid side, but now that they have both departed, could the former Malaga midfielder follow CR7 to Turin? Reports suggest the Bianconeri could be in for Isco with Manchester City also interested This is looking increasingly likely, especially if he continues to find himself on the fringes of Madrid’s side. Playing only 28 games for Los Blancos in the league last season, Isco still managed to conjure up some rather impressive stats. The natural number ten created an average of 2.5 goal scoring chances per game for his side last season, particularly impressive when the Madrid forwards finish their dinner. To add to this, his showstopping skills often seen on many a Youtube compilation (that horrendous music really doesn’t add much, please stop) are a product of his unbridled ambition, his desire to be the best and take on his man at every opportunity. He’s destined to be a world beater. 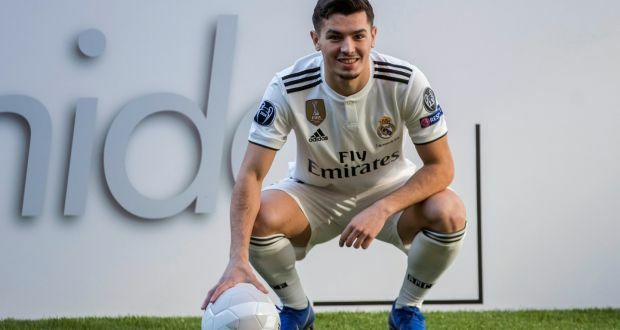 The boy works harder than most and performs at incredibly high levels consistently, qualities that any potential suitors would 100% be looking at should he decide to depart the Bernabéu. There’s no doubt that Isco’s aesthetically pleasing play style would entertain the Juventus faithful .